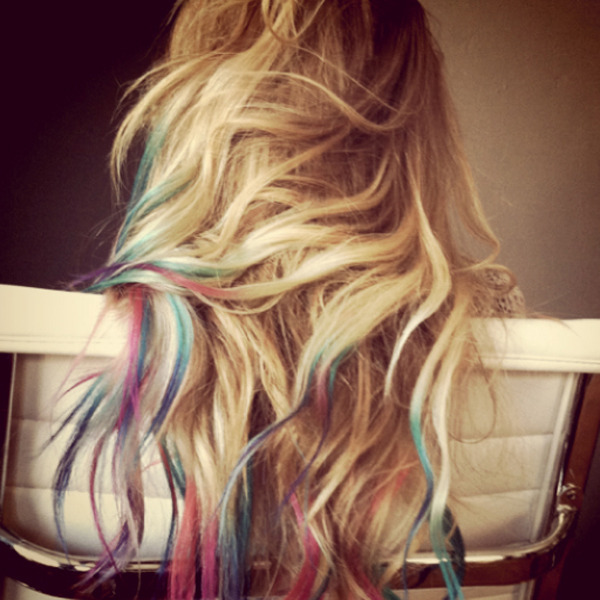 But as you know I really don't like going to a hairdresser so does anyone knows if it's possible to do this at home? And how? So what do you think? Do you like this look? Should I do it or not? Have a great week my sunshines! I love it, go for it!!! I have no idea of how you would do it though I am no hair expert. WOuld work best with hair that is slightly layered at the ends. I can't wait to see your rainbow hair, the beauty department tutorial that Lucy told you about seems clear! I would go to a hair store and ask advice for the color to choose. If you're scared of the result you can buy a few hair extensions in your color and bleach those, so you can see the result and even wear them instead of bleaching your own hair. Doing it all by yourself isn't easy (I tried once) because you aren't able to see clearly how many wisp you are bleaching or when remove the bleach.